1 Publications by "J. W. Shaevitz"
The formation of a collectively moving group benefits individuals within a population in a variety of ways. The surface-dwelling bacterium Myxococcus xanthus forms dynamic collective groups both to feed on prey and to aggregate during times of starvation. The latter behaviour, termed fruiting-body formation, involves a complex, coordinated series of density changes that ultimately lead to three-dimensional aggregates comprising hundreds of thousands of cells and spores. How a loose, two-dimensional sheet of motile cells produces a fixed aggregate has remained a mystery as current models of aggregation are either inconsistent with experimental data or ultimately predict unstable structures that do not remain fixed in space. Here, we use high-resolution microscopy and computer vision software to spatio-temporally track the motion of thousands of individuals during the initial stages of fruiting-body formation. We find that cells undergo a phase transition from exploratory flocking, in which unstable cell groups move rapidly and coherently over long distances, to a reversal-mediated localization into one-dimensional growing streams that are inherently stable in space. These observations identify a new phase of active collective behaviour and answer a long-standing open question in Myxococcus development by describing how motile cell groups can remain statistically fixed in a spatial location. S. Thutupalli, M. Sun, F. Bunyak, K. Palaniappan, and J. W. Shaevitz. Directional reversals enable Myxococcus xanthus cells to produce collective one-dimensional streams during fruiting-body formation. 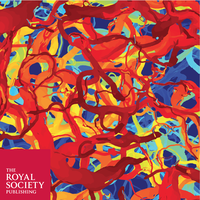 Journal of The Royal Society Interface, volume 12, issue 109, pages 20150049, 2015.